The International Dirt Bike Show will open its doors to the trade, press and public at Stoneleigh Park on Thursday 31st October and will close at 5.30pm on Sunday 3rd November 2013. The new organiser, Mortons Media Group, is on a mission to significantly increase visitor footfall and widen the interest of the Show this year and its stand sales book is already looking very healthy, with well over 100 companies already having secured their preferred space at the Show. The retail-only Hall One is virtually sold out. 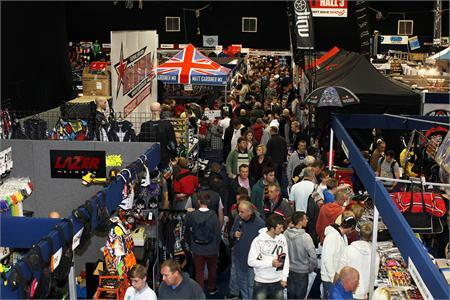 Hall Two is where Show visitors head to see all the latest machine, clothing and accessory displays and Mortons reports that there are only a few stands still available in this prime area. The major motocross, enduro, trail and trial manufacturers have already committed to the largest off-road dedicated show in Europe, and others are expected to sign-up in the near furure. Mortons Media will then be in a position to unveil its latest jam-packed floor plan.